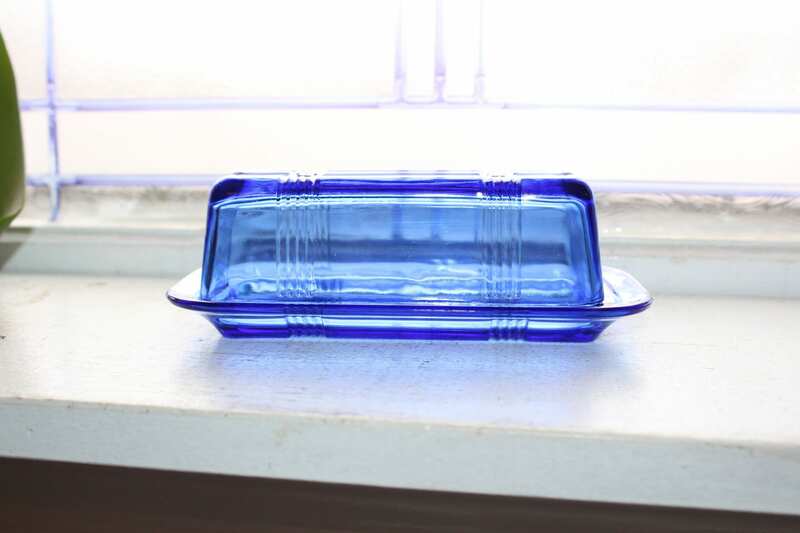 Vintage 1930s cobalt blue depression glass butter dish with a criss cross design by Hazel Atlas, in very good condition. 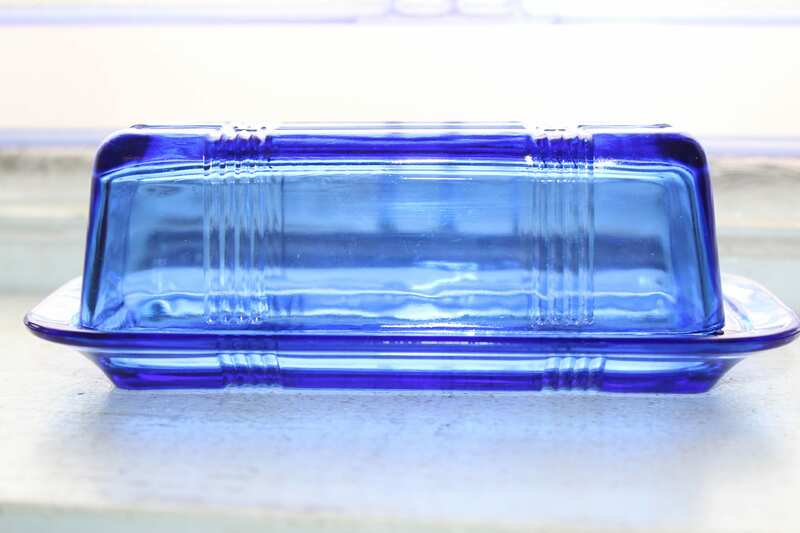 The base measures 6 3/4" x 3 3/8". 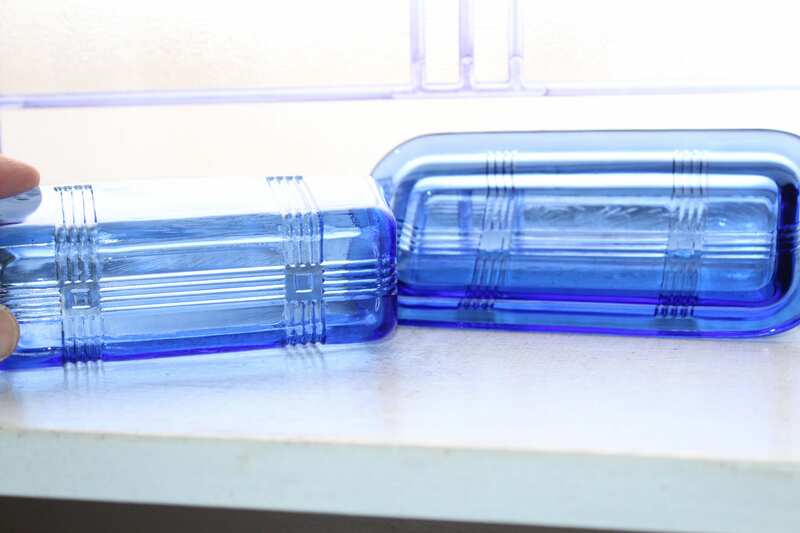 No chips or cracks, perfect for use or display. Enjoy!